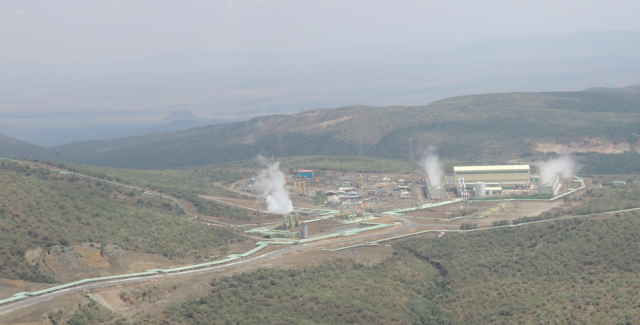 UC Berkeley’s Renew­able and Appro­pri­ate Energy Lab­o­ra­tory and Inter­na­tional Rivers have co-​​published a review of the energy plan­ning and resource assess­ment efforts being done by the East African Power Pool (EAPP), and rec­om­men­da­tions for its improvement. The EAPP has the poten­tial to play a major pos­i­tive role in dri­ving energy invest­ments in the region for years to come, but its heavy focus on large dams puts the region at high risk from a chang­ing cli­mate. The report rec­om­mends the EAPP shift its pri­or­i­ties to include a much greater pro­por­tion of renew­able energy sources like solar, geot­her­mal and wind, and to take greater account of cli­mate risks to large hydropower projects. As cur­rently con­fig­ured, the EAPP will rely heav­ily on some of Africa’s largest hydropower dams, such as Ethiopia’s con­tro­ver­sial megapro­jects, the Gibe III Dam now near­ing com­ple­tion on the Omo River and the Grand Renais­sance Dam on the Blue Nile. Cur­rently, about a quar­ter of elec­tric­ity gen­er­ated in EAPP coun­tries comes from hydropower, but future invest­ments will cre­ate a greater depen­dence on hydropower. The EAPP has iden­ti­fied hydropower projects that will almost dou­ble the EAPP’s cur­rent installed capac­ity; an esti­mated 60% will come from Ethiopian hydropower gen­er­a­tion alone. “Too lit­tle infor­ma­tion exists about the risks to hydropower dams in East Africa to jus­tify such a heavy growth in hydropower,” the authors state. The EAPP Mas­ter Plan does not include an analy­sis of the effects of cli­mate change on the regional power strat­egy or pro­vide any insight into pos­si­ble prob­lems asso­ci­ated with cli­mate change con­di­tions. The Mas­ter Plan men­tions Ethiopia’s vul­ner­a­bil­ity to drought but makes no attempt to address the impacts of pos­si­ble droughts on the region’s economy. Lead author Dr. Daniel Kam­men, Pro­fes­sor of Energy at the Uni­ver­sity of Cal­i­for­nia, Berke­ley says, “We find that the clean, non-​​hydro energy poten­tial of the East African region is vast, and devel­op­ing it can lead to strong eco­nomic, social and envi­ron­men­tally ben­e­fi­cial devel­op­ment. Such a plan can meet even the rapidly grow­ing energy needs of the region, make more sig­nif­i­cant progress in increas­ing energy access, and do so in a way that achieves envi­ron­men­tal sus­tain­abil­ity. The report devel­ops a plan that con­tributes sig­nif­i­cantly more diverse and vibrant pri­vate sec­tor.” The report notes that the region’s solar resource alone is suf­fi­cient to pro­vide the needed energy resources for each EAPP nation, and that avail­able non-​​hydro renew­able elec­tric­ity sources account for roughly 80% of the iden­ti­fied hydropower projects in the EAPP Mas­ter Plan. The study also looked at the impact of the EAPP on increas­ing energy access among the poor. In spite of alarm­ingly high num­bers of peo­ple in the region with­out access to mod­ern energy, the EAPP’s Mas­ter Plan does not specif­i­cally pro­vide detailed plans for alle­vi­at­ing energy poverty in rural com­mu­ni­ties. Although 69 mil­lion Ethiopi­ans are now with­out elec­tric­ity, the report finds, Ethiopia is increas­ing its elec­tric­ity exports from hun­dreds of megawatts as of 2014, to over 2,000 MW by 2018. In spite of these alarm­ing fig­ures, the EAPP’s Mas­ter Plan does not specif­i­cally pro­vide detailed plans for alle­vi­at­ing energy poverty in rural communities. The study also notes the like­li­hood of cost con­tain­ment and cost over­runs in a hydropower-​​heavy EAPP. “Hydropower is prone to the great­est time over­runs and the largest amount of a cost over­run (almost $1 bil­lion per project accord­ing to new work from the Global Change Unit at Oxford Uni­ver­sity).” Wind and solar projects are much less prone to cost over­runs. The study rec­om­mends diver­si­fi­ca­tion of the energy matrix to help reduce cost-​​overrun risks. The EAPP is being sup­ported by the US Gov­ern­ment, the World Bank, African Devel­op­ment Bank, the region’s governments. East Africa has not only some of the best solar, wind, bio­mass, and geot­her­mal resources in the world, but also largely man­age­able urban areas and, with a few excep­tions, low pop­u­la­tion den­sity. This abun­dance of clean energy resources and a grow­ing demand for both on-​​grid, mini-​​grid, and stand-​​alone energy ser­vices calls for a new inte­grated plan­ning perspective. Kenya pro­vides an ideal test-​​bed. A nation with a cur­rent annual GSP growth rate of over 5%, Kenya has visions of 5,000 MW of new on-​​grid capac­ity in only 40 months, and yet a pop­u­la­tion that is only 29% grid-​​connected today. In fact, a closer look reveals the tremen­dous advan­tages of a clean energy growth plan for the nation. Kenya has exam­ined the resource base and is now build­ing a power mix that, if accel­er­ated, will posi­tion the nation to have min­i­mal, if any, need for imported fuels, and will enable the nation to claim a major lead­er­ship place in the com­ing clean energy economy. Not only is the power demand grow­ing, but cli­mate change and increas­ing demands for water mean that Kenya must meet this demand while reduc­ing dra­mat­i­cally its reliance on hydropower. The fact that Kenya has eco­nom­i­cally assessed geot­her­mal resources alone that could meet a base­load demand of 10,000 MW, or more than five times national on-​​grid power demand today, means that even if a sim­ple 1:1 replace­ment of hydropower with geot­her­mal was needed, this would be possible. 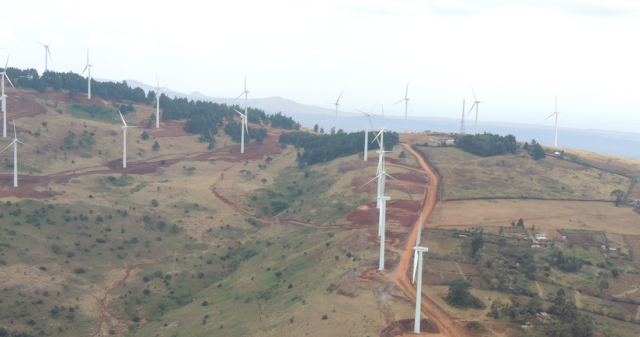 In fact, Kenya is on pace to expand its geot­her­mal pro­duc­tion from just over 500 MW to over 3,000 MW in just a few years. Geot­her­mal is today the least-​​cost form of on-​​grid gen­er­a­tion in Kenya, with costs as low at 8.5 cents/​kWh, one third of the fos­sil fuel costs. The geot­her­mal story in Kenya is not unique. Wind could rival geot­her­mal as a growth indus­try. New dis­cov­er­ies (such as the incred­i­bly rich wind resource at Lake Turkana). Chal­lenges do remain, with the off-​​grid pop­u­la­tion and expan­sion of energy pro­grams for the poor key issues (but where efforts from the grow­ing pri­vate sec­tor pay-​​as-​​you-​​go pro­grams of M-​​KOPA, Sun­ny­Money and oth­ers are mak­ing progress). At the indus­trial level, how­ever, the expan­sion of clean, on-​​grid energy can also bring about new indus­trial poten­tial. Even while tak­ing the pru­dent step to dra­mat­i­cally reduce the planned use of hydropower, Kenya is plan­ning a new indus­trial cor­ri­dor built around clean geot­her­mal, wind, and solar energy. What is tak­ing place in Kenya could also hap­pen else­where in the region.